Leonard is the darling of M. He’s a New forest pony, and she used to ride him when she was a kid. After a few years he was sold. And somehow she always longed for him. A few months they found out he was with a girl who was putting him up for sale and her parents brought him back. He is now happily stabled at the farm where the Tarq lives. This is painted a s a little present for M.
AAAH Aafke it’s so nice!!! He’s going to keep me company in Utrecht. Together with your drawing of Mystique! 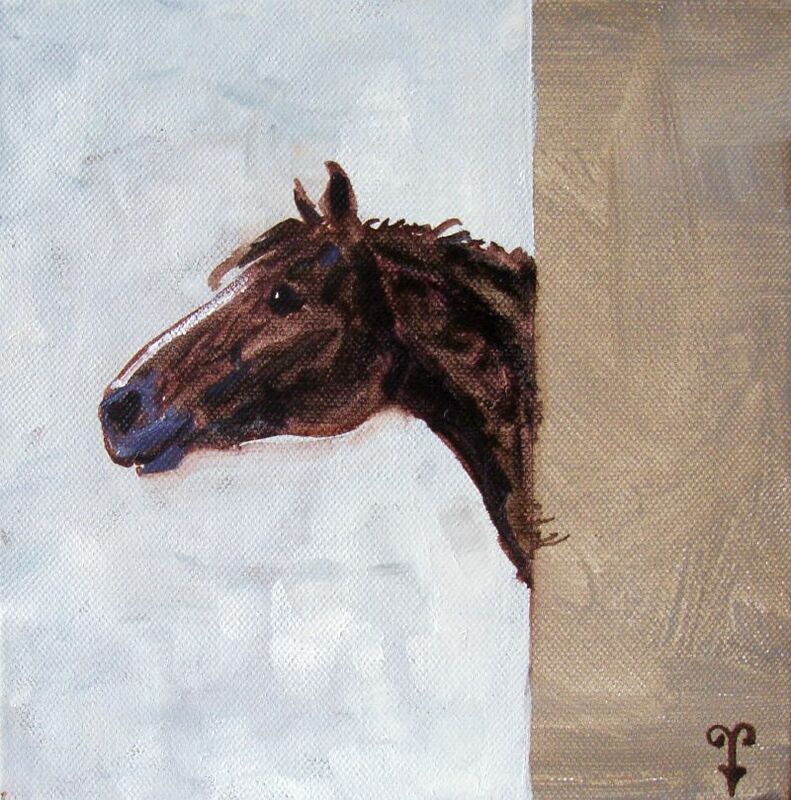 Very beautiful painting of a beautiful horse!